Hotel Rwanda’s Paul Rusesabagina thanks ‪President Clinton‬ for visiting ‪Rwanda‬, but warns him to look for reality behind the glittery surface. I am writing to thank you for taking an interest in my beloved Rwanda. You might know my story from the movie Hotel Rwanda or from my autobiography, An Ordinary Man. 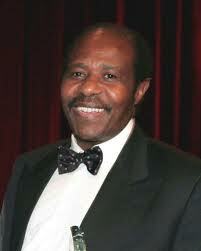 My name is Paul Rusesabagina and I helped to save the lives of 1,268 people who took refuge at the Milles Collines Hotel during the Rwandan Genocide. During those dark days in 1994 I tried every means to get the international community to pay attention to what was happening and to ask for their help. It was recently brought to my attention that you will be participating in the opening of the Butaro Cancer Centre co-founded by your organization. I have long admired your work and advocacy for global health and economic equality. This is why we at the Hotel Rwanda Rusesabagina Foundation www.hrrfoundation.org wanted to make you aware of the political climate surrounding President Kagame and his human rights violations and health care record as a leader. While he presents Rwanda as a shining example of progress and economic growth for others to emulate, this is a distorted picture of reality. Your mission to “build a world where people everywhere have the chance to support their families, uplift their communities, and live out their dreams” is not a sentiment shared by Kagame’s administration as evidenced by governmental actions in DRC and the disparities and corruption present in Rwanda. While we applaud the strides you are making in your humanitarian efforts, we ask you to reconsider your support of Kagame and his means of “progress” and to use your political influence to encourage true freedom and democracy for the people of Rwanda. Rwanda and President Kagame have recently been the focus of a media firestorm for their alleged support of the M23 rebel group in the Democratic Republic of Congo. According to a leaked UN report, Rwanda has been fueling the conflict in DRC and sending soldiers and supplies to the rebels. While Rwandan officials repeatedly deny these allegations, there is overwhelming evidence against their claims of innocence. Rwanda has a long history of conflict and exploitation in DRC to profit from the country’s rich mineral resources. Health care access is fragmented and unequal throughout the country. While more than 81% of Rwandan citizens reside in rural areas, they only have access to 17% of the country’s medical personnel. This urban bias has devastating effects for these underserved areas including, but not limited to, decreased access to contraception, life-saving medications, and neonatal care. The Rwandan health care system is frequently used as a political tool and does not focus its resources to fairly benefit its citizens. One example of these discriminatory health care policies is President Kagame’s program to slow population growth by implementing a mass sterilization plan that has been widely criticized by human rights organizations for targeting poor Hutu citizens for coerced participation. This hardly seems like a health care policy to be lauded as a positive example for others to follow. One of our primary concerns with the Butaro Cancer Centre is whether it will follow the pattern of other health care services in the country and benefit wealthier, urban citizens over poor, rural ones. Even more disturbing is a testimony given in 2009 by Claire Uwamutara, a Rwandan nurse married to an RPF officer named Danny, who witnessed firsthand the corruption of the health care system under Kagame. The couple was invited to a meeting in 2004 to strategize ways to assassinate political opponents and enemies of Kagame’s administration. President Kagame was in attendance and openly advocated for eliminating any threat to his or RPF’s power. Danny spoke up to oppose this plan and to advocate for peace and unity, and he was arrested following the meeting. He was later released and told Claire he had personally spoken with Kagame during his imprisonment, and that the President urged him reconsider his stance. The couple continued to endure pressure over the years to be a part of this assassination system. As a nurse, Claire was ordered to give tainted or infectious vaccines to prisoners, Hutus, and other enemies of the Kagame administration. She was also instructed to control population growth amongst undesirable populations by causing birth and surgical complications. For example, during C-sections, nurses were to place metal objects such as scissors into the abdomen before closing the wound to cause infections and death. They were to ensure that out of 100 maternity cases, at least 30 mothers and 20 babies died. These orders conflicted with Claire’s conscience and job as a caregiver, so she refused to comply and was subjected to various reassignments and multiple imprisonments. Claire’s husband, Danny, was also given assignments for political assassinations that he refused. Because of their defiance of the government’s orders, they suffered torture, imprisonment, and an assassination attempt that succeeded in killing Danny and the couple’s 9-year-old son. Supporting Claire’s claims of torture and corruption is Amnesty International’s Rwanda: Briefing to the UN Committee Against Torture (2012). In Rwandan military detention facilities, prisoners are held without due process and are subjected to various torture practices including electrocution, beatings, suffocation using plastic bags over the head during questioning, starvation, and solitary confinement. These prisoners are typically given no medical attention or option to receive it. Rwandan judges require medical evidence when a prisoner makes an allegation of torture while in custody, and without access to medical care, this is an impossibility. It is a legal Catch-22 and obstruction of justice. One prisoner of this corrupt system is Victoire Ingabire, leader of the United Democratic Forces (FDU). When she attempted to run against President Kagame in 2010, she was barred from the election and imprisoned in 2011 on trumped up charges of genocide denial and divisionism. These charges are especially ironic considering her platform of peace, truth, and reconciliation for the country. Imagine the international uproar if you had imprisoned one of your Republican rivals? Ingabire remains in prison awaiting the verdict of her trial. She boycotted the last portion of the trial due to blatant bias against her case and is likely to receive life in prison. Regardless of the verdict, justice has been violated throughout the case, and this is just one example of the corruption that occurs every day in the judicial system of Rwanda. Kagame has a history of using the legal system to stifle political opposition and maintain his power. This is not democracy and should not be reinforced by aid organizations. President Clinton, we encourage you to visit Victoire in Kagali to see the prison conditions for yourself. President Kagame is clearly still using the guilt of the international community over the 1994 genocide to fuel his current policies, including human rights violations within his own country and across the border in the DRC. For the good of all Rwandans, this must not be allowed to continue. Thank you for taking the time to read our concerns regarding President Kagame and his administration. While President Kagame talks a good game about progress, forward-thinking policies and equal rights, the existing evidence surrounding his regime proves otherwise. Please feel free to contact me or my Foundation if I can answer any other questions or be of further assistance. ARIKO NSEKARIJE UBWO WOWE UKUNDA URWANDA UKABA URI KUGIRA INAMA RUSESABAGINA YO GUSHOZA INTAMBARSA? AHAA IKIBAZPO NTIGIKEMUZWA IKINDI KANDI INTAMBARA IRASENYA NTIYUBAKA. Nifuza ko hazabaho igihe abanyarwanda bazahumuka bakareka gutekereza ko gusenya ataribyo bijyana igihugu imbere. se abo batutsi muvuga batwaye igihugu?????? Igihe kirageze ko abanyarwanda batandukanya Kagame n’ibyiza byose biri kubakwa mu Rwanda. Ntabwo ndimo kuvugira Kagame cyangwa ae ngo ndwanye undi uwo ariwe wese ariko niba abanyarwanda barasizi igihugu bagisenye bakagisiga mu miborogo, hanyuma bakumva ko ubundi buryo bwo gutahuka mu Rwanda ari ukugaruka bagasenya n’ibimaze kubakwa bifitiye abanyarwanda akamaro…….ndibaza aho icyo gihugu mukunda muzaba mukiganisha. Banyarwanda nimuhumuke murebe ibiteza imbere mureke gushukwa n’abiyita ko babavugira bagamije inyungu zabo. Umugabo rusebagina arahagurutse avuga ko abahutu bamaze abatutsi areba……amafaranga ashyize mu mufuka…….amaze kubona ko adahagije ati ariko ku rundi ruhande Kagame amaze abahutu, ubu nibo mvugira……Abanyarwanda twese tuzi ukuri kubyatubayeho…..Abatutsi bishwe urubozo ku manywa y’ihangu mwese mureba……..kandi turemeranywaho ko n’abahutu benshi baguye mu mashyamba ya Congo….Ariko nta muhutu n’umwe uzumva avuga ati ibintu twakoze biragayitse….. cyangwa se Umututsi uvuga ati habayeho kwihorera muli Congo…..Banyarwanda rero niba mudahumutse, nimuhaguruke mwongere mumarane…..tuzaba tureba aho urwo rwanda mukunda muzaruganisha……..Cyane cyane ko aba bose bandika ibi bigaramiye mu bihugu by’amahanga uwo muriro utazabageraho……GENDA RWANDA WARAGOWE…. Ariko RUSESA azi kwiyoberanya koko ! Harya ngo ubu yabaye umunyapolitiki ? Genda Rwanda waragowe ! RUSESA we nzakurwanya, kugeza nogotse. Icyo nguhora si ikindi nubutekamutwe bwawe ! Watetse umutwe ukinisha filimi igendeye ngo kubuzima bwawe muririya minsi 100 igihugu cyacu cyari mumakuba yindengakamere, maze ufatanya na KAGAME gupanga uko iyofilimi izakinwa mucyerekezo cyo kwerekana ko umuhutu wese yafashe umupanga akica umututsi. ko umuhutu wese, uretse wowe ari umugénocideur. None urimo urarimanganya mubiki ? Ubuse ikirura nicyo cyahindutse umwanawintama ? Ariko muzarekeraho kubyinira kumubyimba wabanyarwanda ryari ? Urivugisha ubusa, hari ikintu gikora publicité nka filimi ? None uzahimba indi igaragaza ko ibyo wakoze wakabirije nkana, ukirengagiza nkana ko muriyo filimi yawe (ubu uhahisha nkuko Kagame ahahisha génocide yateguye akanashyira mubikorwa) hagira ishusho na rimwe ryerekana uko Inkotanyi zacucumaga inzirakarengane muribyo bihe hagati ya avril na juillet 1994. Urumutekamutwe wa kabombo ntakintu kizima dushobora kugutegaho. Uzabaze abarebye documentaire yerekanwe le 1er juillet 2012 igihe i Bruxelles mu Bubiligi bizihizaga imyaka 50 igihugu cyacu kimaze cyigenga urebeko hari aho ihuriye nibyo bitabapfu biri muriyo ngirwa filimi yawe maze unyamanze kimya ! Nabonye icyo gihe nabo mwishyaka ryawe bari bicaye aho imbere kuri poduium, nkumva ari nkaho nabashikuje nkabavana aho bari bicaye kuko kujya inyuma yumuntu nkawe nugushinyagurira inzirakarengane zishwe ninkotanyi, kandi ukba wararengeye aba babisha ubizi kandi ubushaka. Asyi ibi bisahiranda njye ndabirambiwe ! Ariko tuyzabyigobotora tout ! Komerezaho wa mubyeyi we. Uramubwira se ko byose abizi. Uwo mu Cowboy iyo atavuka nkeka ko akarere k’ibiyaga bigari kaba kayaga amahoro. Ni ko se RUSESA, mwazarebye un stratège militaire akabigira idosiye? Ujya usimbukira se za URSSS? Sindi umunyapolitike cyangwa umusirikare, nyamara abantu benshi barababwira ngo,mubwire GACIRO mu rurimi yumva, ni ukuvuga « Umuriro w’amasasu ». Uko iminsi igenda ishira niko imbaga y’abanyarwanda igenda ihashirira, baba abatutsi, baba abahutu. Think about it please.Thank you for all, and GOD bless you and your family. Tracuction en Kinyarwanda s.v.p. kugira ngo bose babyumve ndetse n’abanyarwanda batumva izo ndimi z’amahanga.